A vision of e-government should reflect the larger development goals of the country, the broader concerns and goals of society.The different five steps to make e-government happen are listed below. Get the bureaucracy to buy-in and develop a change management strategy. An e-readiness assessment: It is important to take a government-wide inventory of assets. After determining what it has, a government must determine the quality of what it has, as well as what it does not have. Then it must write out a shopping list of what it needs to make e-government happen. Online Services provided through E-governance: The Internal Efficiency and Effectiveness Portfolio's focus is to apply industry best practices to government. Different devices provided through the e-government as explain below. E-Training:E-Training supports the development of the federal workforce and advances the accomplishment of agencies through simplified and one-stop access to e-Training products and services. Recruitment One-Stop: Recruitment One-Stop provides state of the art online recruitment services to federal job seekers that include online job posting, intuitive job searching, resume warehouse, online application submission, automated eligibility and status feedback, applicant data mining and integration with sophisticated automated assessment tools. Enterprise HR Integration: The enhance Human Resources Integration (EHRI) initiative is developing policies and tools to streamline and automate the electronic exchange of standardized HR data needed for creation of an official employee record across the Executive Branch. E-Clearance: The E-Clearance initiative streamlines and improves the quality of the current security clearance process through the deployment of automation and common systems and policies to manage the security clearance. E-Payroll: The E-Payroll initiative will standardize and consolidate Government wide Federal civilian payroll services and processes by simplifying and standardizing HR/payroll policies and procedures and better integrating payroll, human resources and finance functions. E-Travel: The E-Travel program provides a government-wide web-based services that applies world-class travel management practices to consolidate federal travel minimize cost and produce superior customer satisfaction. From travel planning and authorization to reimbursement, end-to-end services will leverage administrative, financial and information technology best practices to realize significant cost savings and improved employee productivity. Integrated Acquisition Environment: The Integrated Acquisition Environment (IAE) initiative creates a secure business environment that facilitates and supports cost effective acquisition of goods and services by federal agencies, while eliminating inefficiencies in the current acquisition environment. E-Records Management: The E-Records Management initiative provides policy guidance to help agencies better manage their electronic records, so that records information can be effectively used to support timely and effective decision making, enhance service delivery, and ensure accountability. E-Authentication: The E- Authentication initiative will provide a trusted and secure standards based authentication architecture to support Federal E-Government applications and initiatives. A vision of e-government should reflect the larger development goals of the country, the broader concerns and goals of society. Different devices provided through the e-government are E-Training, Recruitment One-Stop, Enterprise HR Integration, E-Clearance, E-Payroll, E-Travel, Integrated Acquisition Environment, E-Records Management and E-Authentication. What are the steps you think are necessary to create E-government? The different five steps, that I think required, to make e-government happen are listed below. Write short note on e-records management. E-records management initiative provides policy guidance to help agencies better manage their electronic records, so that records information can be effectively used to support timely and effective decision making, enhance service delivery, and ensure accountability. Write short note on Integrated Acquisition Environment (IAE). The Integrated Acquisition Environment (IAE) initiative creates a secure business environment that facilitates and supports cost effective acquisition of goods and services by federal agencies, while eliminating inefficiencies in the current acquisition environment. Write short note on e-payroll. E-payroll initiative will standardize and consolidate Government wide Federal civilian payroll services and processes by simplifying and standardizing HR/payroll policies and procedures and better integrating payroll, human resources and finance functions. Describe any two aspects of e-governance is possible? The enhance Human Resources Integration (EHRI) initiative is developing policies and tools to streamline and automate the electronic exchange of standardized HR data needed for creation of an official employee record across the Executive Branch. The e-clearance initiative streamlines and improves the quality of the current security clearance process through the deployment of automation and common systems and policies to manage the security clearance. Write short note on e-readiness assessment. It is important to take a government-wide inventory of assets. After determining what it has, a government must determine the quality of what it has, as well as what it does not have. Then it must write out a shopping list of what it needs to make e-government happen. Write short note on E-authentication. The E- Authentication initiative will provide a trusted and secure standards based authentication architecture to support Federal E-Government applications and initiatives. 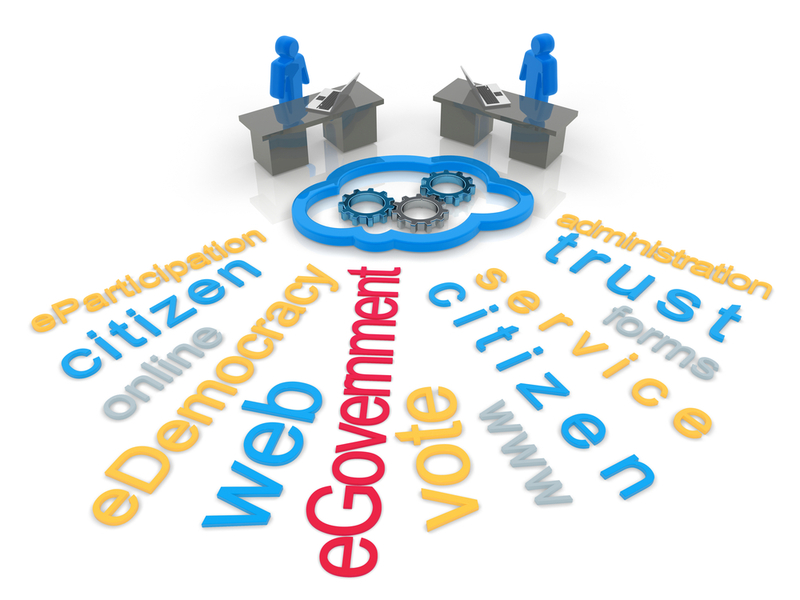 Which of the following is not the steps to make e-government happen? Which of the following statement is true for E-Authentication? It provide a trusted and secure standards based authentication architecture to support Federal E-Government applications and initiatives. It help agencies to manage their electronic records. It creates a secure business environment that facilitates and supports cost effective acquisition of goods and services by federal agencies. Gateway is defined as ____________. A measurement of the number of electromagnetic waves that pass over a given point. A device that connects two or more networks, enabling data transfer between them. A pointer that when chosen displays the item to which it points. What is the full form of ISDN? None of the answers are correct. The defined structure of information that is recorded on magnetic media is called ______________. Any Questions on 'Making E-Government Happen '?